The American Civil War's vast Western Theater witnessed enormously important military campaigning during the period 1861 - 1863. 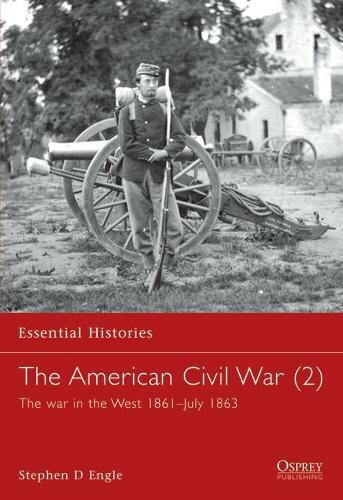 This book, the third in a four-book series, examines the geographical, logistical, and strategic factors that shaped fighting in this theater of the American Civil War, as well as assessing officers who played key roles. The story is told of Ulysses S Grant's important capture of rebel positions before marching south to win the battle of Shiloh, as well that of Albert Sidney Johnston, the pride of the Confederacy, who received a mortal wound at Shiloh. A facinating study of men and motives in the American Civil War.